Despite a brief stop at home I’ve been traveling since June 4th. I love to travel, and I had a terrific time at both events that I attended. However, two weeks (or thereabouts) seems to be my limit—at least for travel by automobile. I don’t remember being quite so glad to get home to peace and quiet before. I’ve spent the day (since arriving home) catching up on FB and blogs, drafting my very occasional newsletter, doing laundry, and generally taking it easy. Tomorrow I’ll see an MD about the injury to my knee that happened while I was traveling (not debilitating but worrisome because the bruising isn’t going away as it should). I’ll do a little shopping while I’m out as well as pick up my dry cleaning. Then I’ll dive back in to writing and household chores. Those two things will occupy the majority of my time until mid-August when I’ll be off on another (shorter) journey. Do you like to travel? What was your favorite trip? 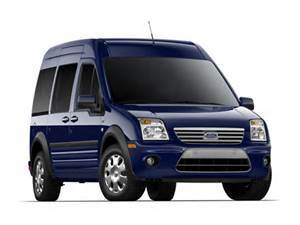 What part of traveling do you like best? If you don’t travel, how do you spend your vacation? Please answer in the comments. Thanks. Yep, I’ve got even more stuff to tell you about now that our short pause is over. 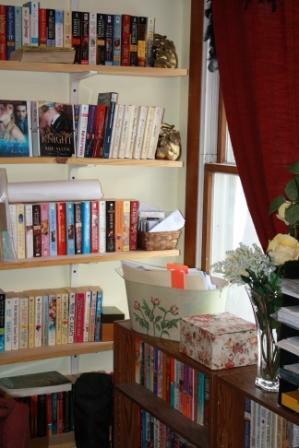 The four pictures in this blog are of the wall length bookshelves opposite the corner where my desk sits (desk stuff in a later installment). 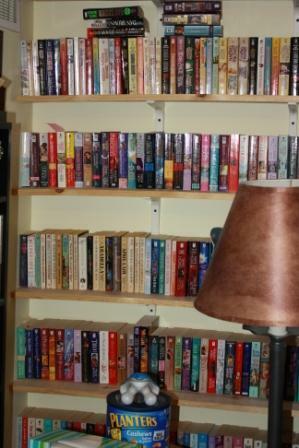 There are six shelves (I couldn’t fit the top self into the camera frame, each roughly 10 feet in length and completely filled with paperback romance novels (and yes, those novels absolutely get included on the list of stuff I like that makes me happy). I won’t describe any of the books, but I will mention some of the other items. In the foreground of the picture at the left you can see a couple of the items I discussed in the 4th installment of this series. You can also see part of the floor lamp that stands between the table (see installment 4) and my reading chair (also installment 4). I love that shade because it turns this lovely glowing gold color when the bulb is on, and it gives terrific light for reading. Moving on to the next picture (below right) you see the rest of the lamp. The small needlework pillow peeking out from behind the lamp is another gift from my mother in law. That pillow was sitting on her royal blue sofa in her living room the first time my sweetheart brought me to their home for dinner and to meet his folks. I was scared spitless because I knew about her upper crust Boston background. Mom was everything that is gracious. Nonetheless it took me several years to get over being intimidated, mostly because of my personal fears. I like to think that we now have a very friendly relationship. She certainly remembered that first visit, because one of the few things I managed to say was how lovely the pillow was. Who wouldn’t like a pillow with irises (Mom used to grow award winning Iris blooms) in varying shades of blue, including cobalt. 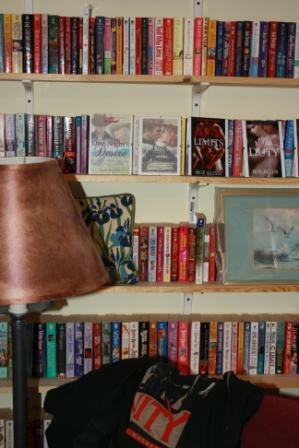 On the shelf above the pillow are four framed covers from my books. Below those is yet another gift from my mother in law. This gift is more recent (just this past Christmas), yet I treasure it almost as much as the pillow. The seascape set into the tray is one of my favorites, and since I love the sea (add that to the list too) I keep the tray where I can see it. 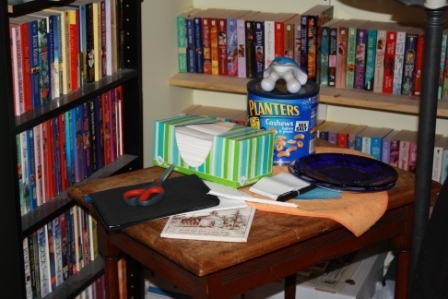 The third picture (at left) shows the en tire tray, and above that the remaining four covers from my books. If you look closely you can see a small two-tone brown box at the end of one of the shelves. That is a recipe box that my own mother gave me. It holds my grandmother’s recipes for Swedish coffee bread, dream cookies, and depression era frosting (made with flour, milk, butter and granulated sugar). The confectioner’s type of sugar that is usually used in frostings was nearly impossible to get during the depression, so flour was substituted. Even granulated sugar was expensive, so frosting on cakes was a real treat. The Dream Cookies are another depression era recipe, requiring only flour, granulated sugar and butter. Preparing Dream Cookies requires careful attention because the butter must be melted and browned to a point just shy of burning. The caramelized bits in the melted butter create the delicate flavor of these cookies. Once baked they have a very crumbly texture. My grandmother called them dream cookies because they practically melt in your mouth and disappear so fast that you feel as if you imagined eating them. Dream Cookies (along with homemade pecan sandies) are my favorite cookies, so they go on the list too. I’ve made the Swedish coffee bread—which is an all day project. Grandma used to fill hers with citron (candied dry fruit). I prefer un-candied dry fruit and more nuts—especially pecans. The bread was a daily item in my life while I was in school during the years when my grandparents lived with us (they moved into a small apartment in our house once neither of them could drive). I would come home from school and Grandma and my mother would be sitting at Grandma’s kitchen table having coffee and buttered coffee bread. They always had at least one piece waiting for me. I’d savor the bread and listed to Grandma and Mother share memories of their early lives. That’s how I learned about depression frosting and the origin of Dream Cookies. The last image (at right) shows the end of two more shelves, one of the two windows in my office and the stuff that sits below the window. I’ll write about the window stuff next time. Right now, I want to mention that the elephant bookends were a gift from me to my own mother and probably one of the first purchases I made with money I earned. I got elephants for her overflowing bookshelves so she would never forget where they came from and how much we both loved reading. The elephants came back to me when Mother passed away. Below those sits a small basket containing old checkbooks. I don’t know where the basket came from, but I like open containers. I tend to forget things when they are out of sight. I want the checkbooks in plain sight so I remember to throw them out when I no longer need them as tax records. So those bookshelves contain a lot of stuff ranging from the treasured to the mundane, and as always a host of memories. Do you have memories of your parents and grandparents; stories and/or recipes that have been handed down and treasured for generations; little knick knacks that hold meaning only for you? Please share with a comment. Sometimes life gets in the way and not just of writing blog posts and novels. 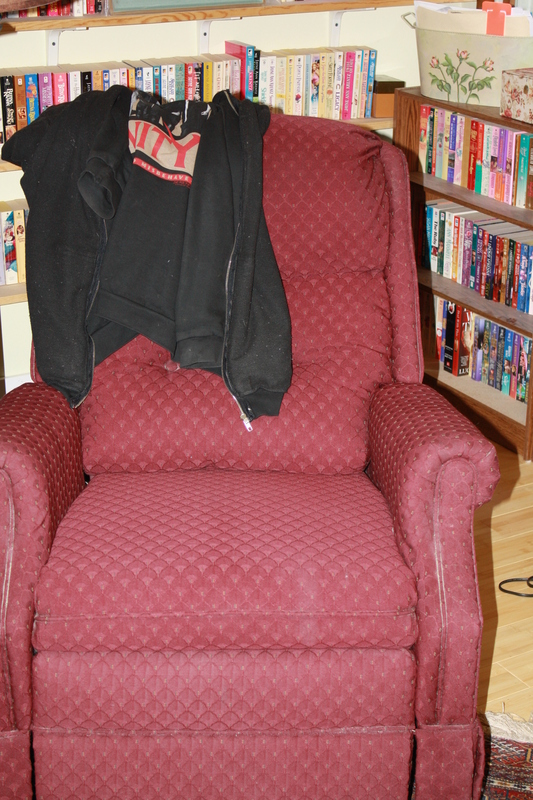 Take a look at the table (above) that sits next to my easy/reading chair (the chair’s picture is below). What a mess. Wish I could tell you that wasn’t normal. The truth is that much of my life is very messy because I consider myself too busy to be neat. Oddly, I had a character in one book who was the complete opposite; she was excessively busy and neat. Her claim was that she didn’t have time to be messy and always looking for things which she could find easily if she kept her life tidy. So about the stuff on the table and what it might tell you about me. The table itself is a ‘gift’ from my mother-in-law when my DH and I moved into our first home shortly after we married. The top of the table needs refinishing. Mind you, we just celebrated our 38th anniversary, so a lot of life has gotten in the way of that particular task. The items on top of the table are used when I’m not ‘writing,’ i.e. pounding on the keyboard at my desk across the room. Under the scissors (I have no idea why the scissors are there, I use them to open packages and trim paper) is a small portfolio containing an 8 X 5 pad of paper and a pen used for taking notes. Behind that is a box of tissues. I have year round allergies, so I keep tissues all over my house. The large can of peanuts is empty (rescued from my DH who ate the peanuts) and is used to keep sweets. At the moment because I’m being good about my diet the can is empty. On top of the can is the hand held massage tool that I use on my sore feet when I get home from my ‘day’ job. Beside the can are two small stacked plates. If I’m working—research reading, revisions—or relaxing—reading for fun, watching TV on my desktop monitor, napping—I often bring lunch or dinner upstairs so I don’t forget to eat. The top plate is cobalt blue glass, and while you can’t see it well, the bottom plate is cobalt blue on white china. Guess what else you can add to the list of stuff that I like and makes me happy. I’ll give you a hint. It’s a color. In front of the plates is another pen and two more small pads of paper. Those migrated to the table with me when I moved from desk to easy chair for revising work. I’d forgotten I already had the small portfolio on the table. The orange cloth under most of the stuff is just there to protect the largest part of the unfinished table surface. Yep, that’s a straw wrapper in front of the second pen. I was sick recently, and I baby myself with straws in my drinks when I’m forcing liquids. Last the brown and white tile is another treasure given by my mother-in-law. It depicts the Old Dutch Church at Sleepy Hollow. Her family hails from New England, so she has a trove of mementos that she shares with all of her children. She well knows how much the written word and authors mean to me, so her gifts often have some connection with the literary world. 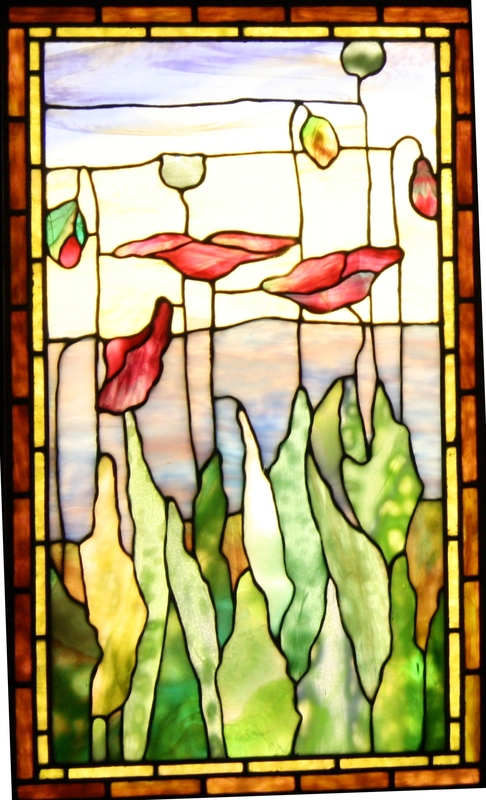 In this case the connection is to Washington Irving and the 19th century New England school of authors that included, Hawthorne, Emerson, Thoreau and others. Oh yes, before I go and ask for your comments, note the two bookshelves visible behind the table. The black shelf unit is the one that contains the chotchsky shelf described in the first two posts of this series. The bare wood shelving, I installed myself when we moved in. Both units hold many of my 3000+ books. Lots of stuff in this post to comment on or ask questions about. If nothing else see if you can list all of the ‘stuff’ that I’ve said I like from The Stuff in My Office posts given so far. Who knows, I might draw a winner and use his/her name in my current WIP, The Valentine Tycoon. Can’t wait to hear from you. Remember that chotchskie shelf in my office? I still have eight items to tell you about. Four of them are butterfly art two shiny propped up against the back of the shelf and two flat yellow and black lying on the horizontal surface. The black one is really hard to see and looks more like a splotch against the bottom of the bigger shiny butterfly. The other four items are more interesting, since they all hold memories for me. The painted wooden heart was made by my youngest son when he was in first grade as a Valentine’s Day gift. The flat piece of metal is another key fob, given to me after two years working at the University of Michigan. Next to the fob is a smashed copper penny my husband gave me on our honeymoon. The gold painted wooden shoe was carved by my Swedish grandfather, who when I was five was my favorite person in all the world. I loved him so much that when his visit to our home ended and he was boarding the train to head back to Florida, I was inconsolable. I would not stop crying and wailing until my mother told me that if Grandpa didn’t leave he couldn’t come back. At five I was so puzzled by that piece of information that I shut up instantly, kissed my grandfather and almost didn’t notice when the train left the station. It didn’t occur to me until much later that if he didn’t leave he didn’t have to come back. That’s just one of many memories I have of my grandfather. He was a very special man—told me stories, showed me how to see the small things in the woods, and played his guitar while I sang. He encouraged me to try the new and the different but always in the context of the familiar. Despite some problems we had later in life, I miss him terribly. Leave a comment and tell me what kinds of stuff you keep to remember your loved ones and the very special times you shared. I’ll have another piece of my office to discuss tomorrow. The whole idea of social media is to put yourself out there and join the conversation. Problem is that I have difficulty approaching strangers in person. I find it even more difficult when I can’t see them. The thought occurred to me that I’m not the only person who has this problem. So in the interest of not being a stranger (although I may be strange), I’ll tell you about the stuff in my office. My office is where I work and play. It is my personal space in a home that I share with my spouse and two cats (our sons are grown and no longer live at home). My office is also where I keep my ‘stuff,’ mementos, supplies, files, books, hand-me-downs and other objects that are of interest to me. You can tell a lot about people in general from their personal spaces. I’m very lucky in that I have a personal space with plenty of room and a door that can shut the world out or let it in depending on my preference at the time. But I’m supposed to be telling you about the stuff not just the office, which presents the difficulty of where to start. I’ve got a lot of stuff (been accumulating for the past 60 + years). I made a random and arbitrary decision to begin with the chotchskie shelf at the top of the bookshelf that stands nearest my easy chair. 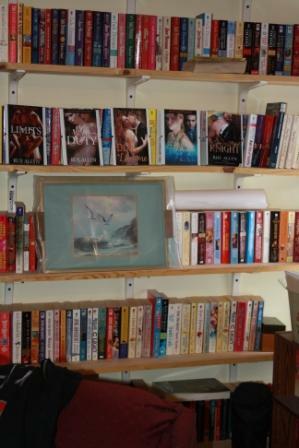 Here’s a picture of that shelf and the chotchskies it holds. So what’s all this stuff? Most of this is mementos and things I think are pretty. 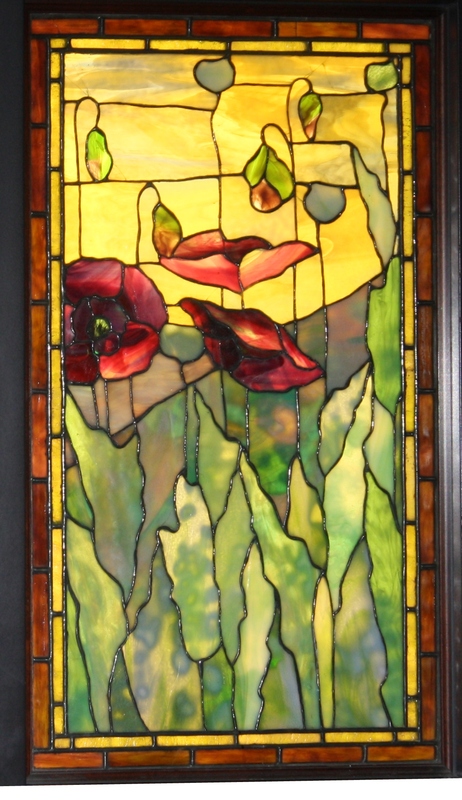 There are a total of 5 +1pieces of butterfly art. The one is a pair of broken wings that used to be a key fob. I really liked that key fob, so I kept the broken wing pieces to remind me that even the strongest things can break and even the broken things have beauty. You may not be able to see the broken wings very well. They’re lying flat in front of the translucent cube with the unicorn carved in the middle. I’m as fond of unicorns as I am of butterfly art. (I like live butterflies too, but only when they’re alive. Please don’t kill them and put them in a box to look at—I’ll cry.) The unicorn was a gift, I think from my mother-in-law, who is one of the most thoughtful people I know. Behind the unicorn is a dog tag, purchased from the USPS that honors Women In Service. I served in the US Navy for ten years but have lost my dog tags, so I bought these as replacements. Next to the dog tags is a Christmas ornament given to one of my sons when he was a child. We still put their ornaments on our tree (neither of them has started setting up their own trees yet). Occasionally one or two of the ornaments doesn’t make it back in the box after the tree comes down. Those ornaments end up in my office so they don’t get lost. The blue lump in front of the ornament and the gold butterfly is actually an acrylic, star-shaped paper weight. Add stars and cobalt blue to the things I like as much as butterflies and unicorns. The slim line of sliver looking material beside the paper weight is the frame of a small unicorn painting on glass. Eight items are left, but this blog is IMHO already too long, so I’ll give the rest of the details next time. Meanwhile, I’ll let you guess the what and why of the remaining eight items. Leave a comment and tell me what your guess is, or whatever else you might think about this first glance at the Stuff in My Office. Persephone Mae Alden is the invisible Alden sister, quiet, industrious, generous, kind-hearted, loyal and reliable. The words used to describe Mae remind her of a well-trained dog. She’s not happy about it, but what can she do? She likes her quiet life and would be seriously upset if she had to defy convention like Edith or act on instinct like Kiera. But everything changes when necessity forces her to bravery and she must choose between love and family. A horrifying bequest convinces Boston attorney James W. Collins V that Mae Alden needs a husband, and she’s just the type of wife he wants. The two of them will be a perfect match. Refusing his offer makes no sense, so why won’t the woman accept? 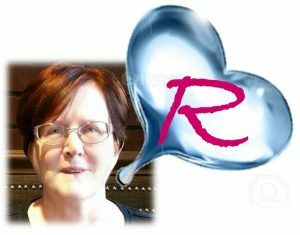 I’m delighted to announce the winner of the recent Readers Treasure Blog Hop Prizes and the recipient of my own special surprise drawing. Elaine Stevens-Ramirez won the multi-author Treasure Box prize. 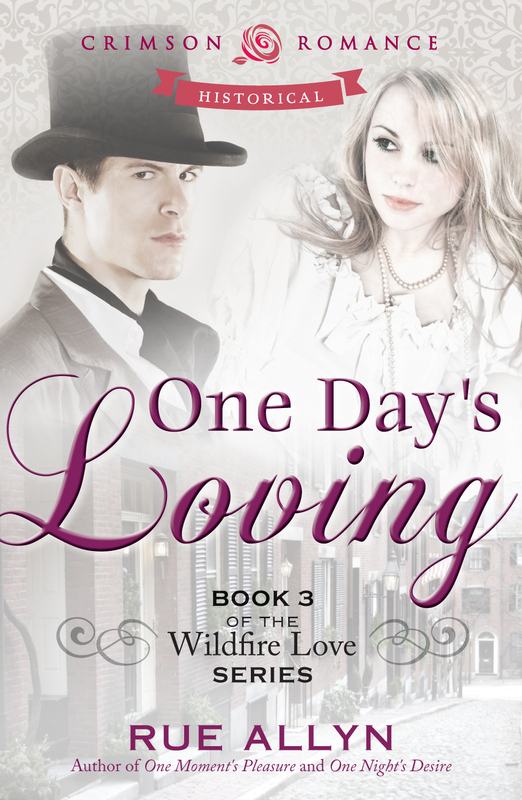 Mary Prescott will receive an advance review copy of One Day’s Loving ~ Wildfire Love # 3. Congratulations ladies and thank you very much for participating.